The Rainforest Garden: The Epiphyte Balcony! Although I've mostly talked about the garden at my mom's place, my balcony is the garden I get to see every day as an extension of my home. I can't grow veggies and herbs since its north facing, and succulents usually end up a bit leggy, but its perfect for my epiphyte collection since rainforest plants are accustomed to deep shade anyways! 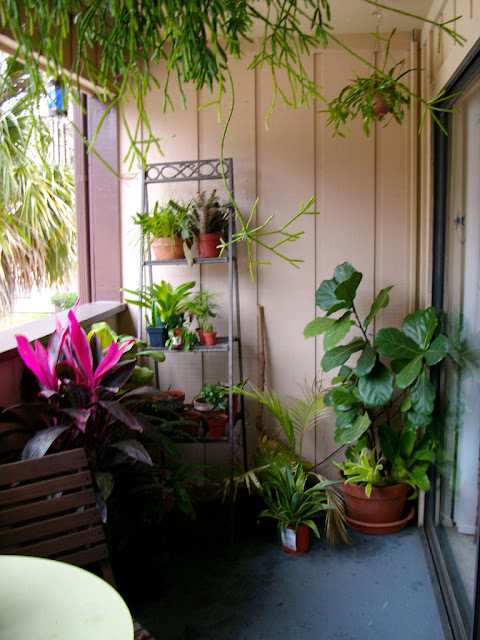 Since I am perched on the second floor of an apartment building, I figured an epiphytic theme was just perfect. 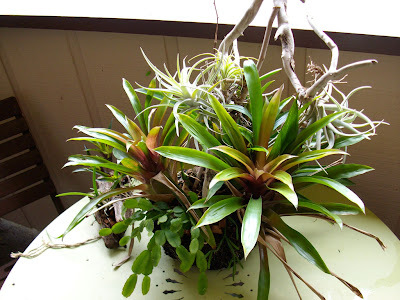 I hope to someday make wall art using epiphytes much like designers use succulents in living walls. Here are some shots. Up top you can see a coupe of my rhipsalis, or mistletoe cacti draping down luxuriantly over a fiddle leaf fig, my ti plants, some palms, seedlings and a collection of bromeliads. Hanging baskets give an extra dimension to the rainforest garden, bringing to mind branches festooned with exuberant growth! This is my favorite "container", a rainforest in a centerpiece. Its a hollowed out piece of tree fern trunk filled with some bark and planted with vriesea bromeliads, rhipsalis, easter cactus, an encyclia orchid and some white tillandsias. Its very easy to care for, and I've gone weeks without watering it before. I'm honestly not sure what species of bromeliads are included in it, but the vriesea responds to the epiphytic situation by having nicely colored leaves. In spring or summer they'll bloom again, possibly alongside the fragrant encyclia that its growing with. Here's a hanging bromeliad ball of a nice white tillandsia. I used to mist it dutifully every day, but it seems fine without the extra attention. This is the mistletoe cactus that I did a profile of earlier, and its putting out a ton of new shoots! I think its time to take some cuttings before it gets too heavy! This is my seed starting area, using an awesome bakers rack that resembles a fire escape.. To the left are some rhipsalis and dragonfruit seedlings I started from fruits, to the right of that is a surinam cherry seedling, also started from a fruit. To the right of those is a collection of natives started from collected seeds including wild coffee, magnolia and coontie. I hope to someday plant this same container in a garden, many repottings later of course. In the back and to the right are various succulents getting started, and the empty containers are failed seedlings, unable to survive the fungus gnats. Does anyone know how to get rid of those darn bugs? Three of my vrieseas are starting to bloom! I got a bunch of these for a buck each last year after Christmas, so its nice to see it pay off. A lineup of Oncidiums and bromeliads. The oncidiums have proven to be just as easy as bromeliads to care for, which is to say that they are super-easy to care for. 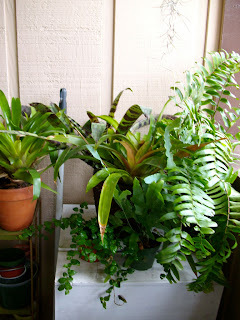 A collection of bromeliads, ferns and a creeping fig.. 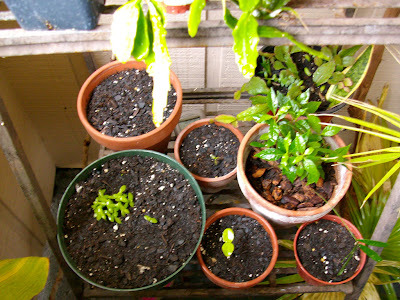 The ferns will eventually be planted in the garden, and the creeping fig will be used to create a potted installation. I want to use fishing line and wire to train it into a hooded vase that surrounds one of my white tillandsias, as if enveloping it. Creeping fig is made into topiary, so why not abstract installation art? I hope you enjoyed the tour! Remember that you can create a sanctuary no matter where you live by bringing nature into your living space. That is a very good use of the balcony! 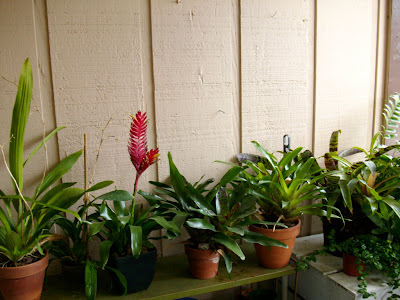 I love your bromeliad collection in both your mother's garden and in this balcony. 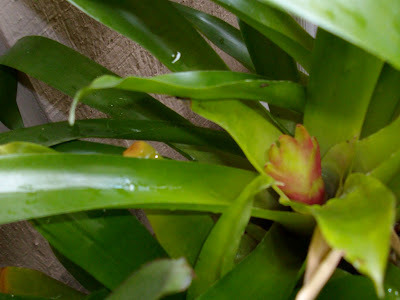 You are one of persons who inspire me to love the bromeliad more. I also started to collect the bromeliads now :) The picture with mistletoe cactus trailing out from the top is so pretty. 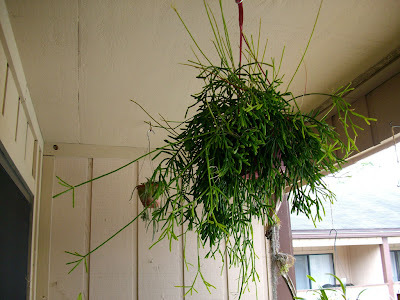 I got one cutting of mistletoe cactus, and hope it will produce a full plant for me someday. Oh, BTW, did you see my commnet I left at your "new agave" post? 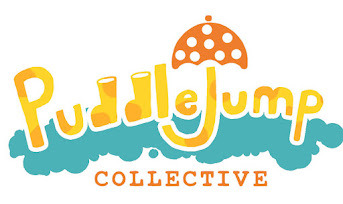 I think I found the name for it. Great use of a limited space. The Bromeliads multiple rapidly but they seem to be like Orchids you can never have too many. A very lovely balcony! I lived in a couple of apartments way back in my 20's, but all we had out on the balcony was a couple of bicycles and plastic chairs. What was I thinking? It's nice that you can work in your mother's garden as well. You are helping her while getting to enjoy more green space yourself. Anyway, I love that rainforest container...very nice with the tillandsias growing upward and the cactus trailing downward. When we first move to Florida we had an apartment in Palm Beach Gardens. One of the first things we did was buy a beautiful passion vine. The thing grew like crazy and was soon covering our entire railing - top to bottom. 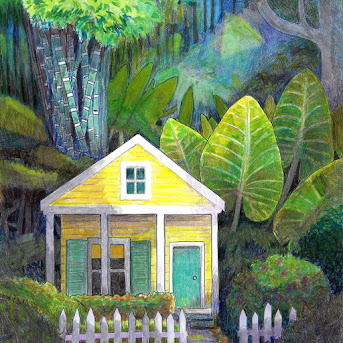 One night we noticed huge Florida carpenter ants in the living room. They were coming in from the balcony. Upon going outside we saw an absolutely amazing trail of the biggest ants I ever saw climbing up the building to our beautiful vine. The trail extended as far as the eye could see. The ants were coming for the white sappy liquid found inside the vine. Needless to say, the vine had to go. Our balcony was never the same. Your mistletoe cactus look so grand. Didn't know they do very well in the shaded are. 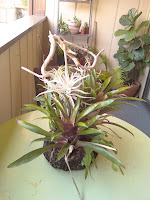 And your collection of bromeliad & air plants look so glorious. Lovely photos, thanks for sharing. Your plants look so happy, obviously a good spot for them. Fungus are always a problem with these kind of rainforest plants - myabe you can find a spot of sunshine? That normally does the trick. I have also been succesful with different fungus by spraying with a weak milk (10%) and water solution. Your balcony is beautiful! I love the different varieties. This is a wonderful tribute to gardening in a smal space! And what a treat your neighbors have when they look in your direction! Very nice, cozy spot! Hey, you're in Florida, I'm in the desert, but still, I think we're kindred spirits. I found your site through Noelle's. I like it - anyone who adores plants as much as you obviously do is ok in my book! 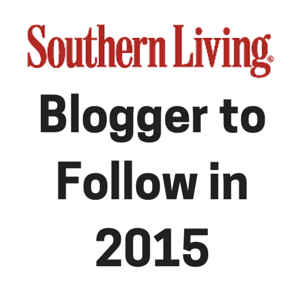 I'll be checking back! Thanks everyone! I'll eventually have to make that "rainforest container" from scratch and take pictures so I can do a "how to" post! That's the best looking tillandsia I've seen! Hi Rainforest Gardener! Sorry so long in getting over here to check out your blog! I have read back a ways abd just want to say how I Love all your balcony plants! 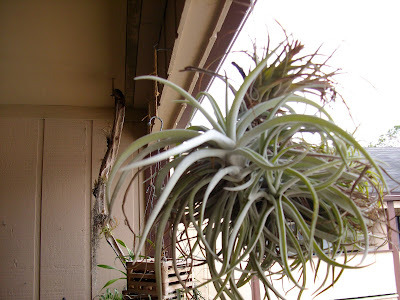 I adore tillandsia, broms, and epiphytes of all types! You have a great collection! I have found my tillandsias are happier when I don't mist them...I guess it is just plain moist enough in the humidity here in south Florida! 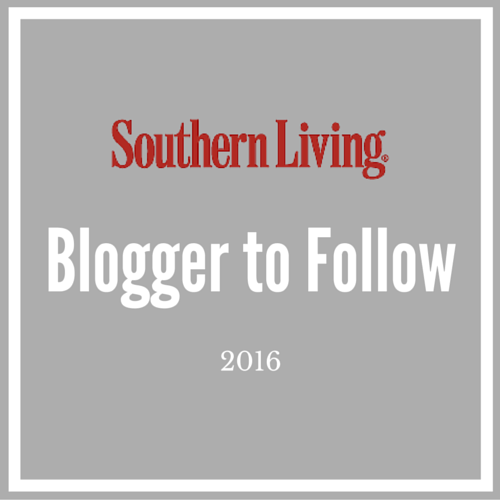 Thanks for following my blog! 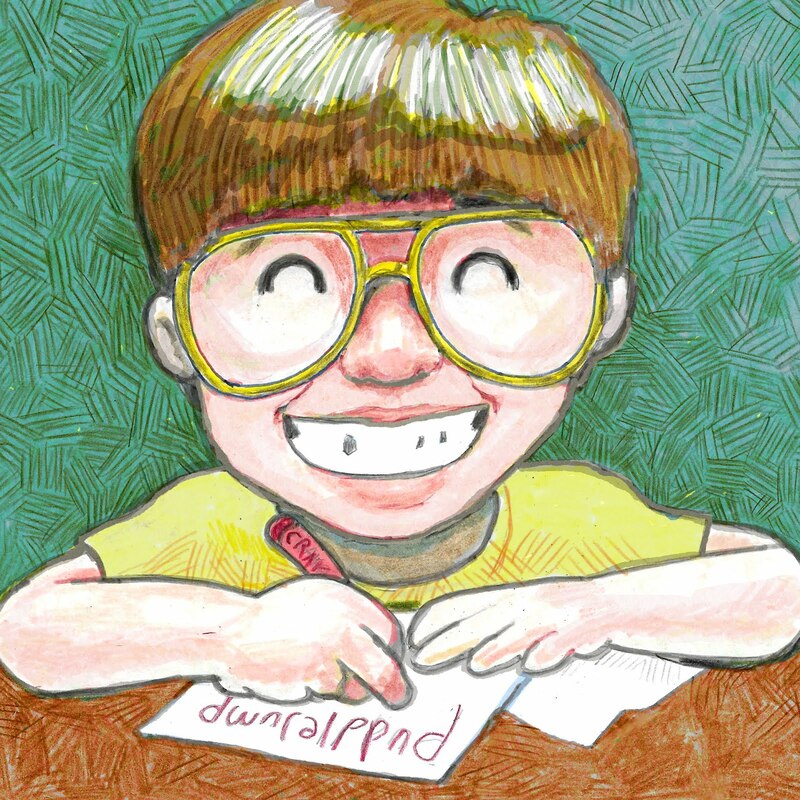 See you around here! To get rid of fungus, put cider vinegar in a container and cover it with a single layer of cheesecloth. Secure the cheesecloth with a rubber band. The gnats will get in to get a drink of vinegar but, can't get out. I've killed hundreds of them with this trap.